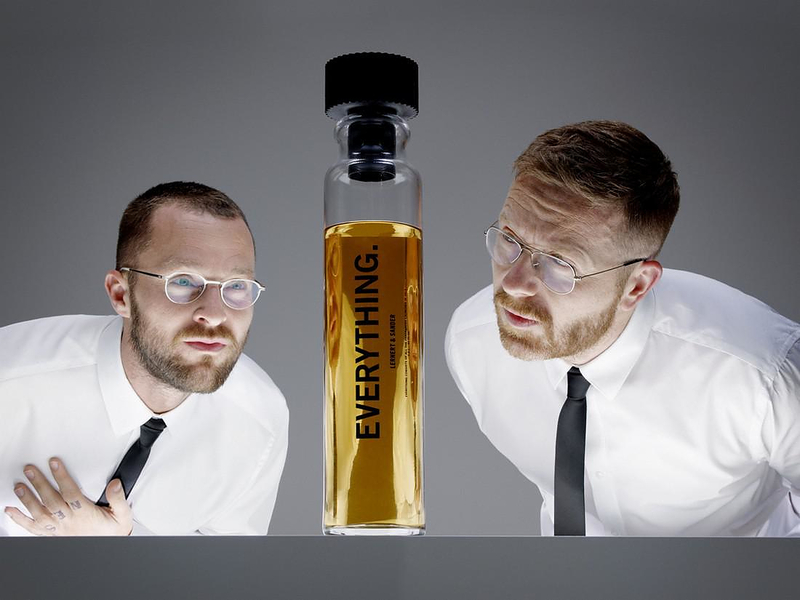 HomeBlogVariousEverything Perfume by Lernert & Sander is made from 1400 fragrances. 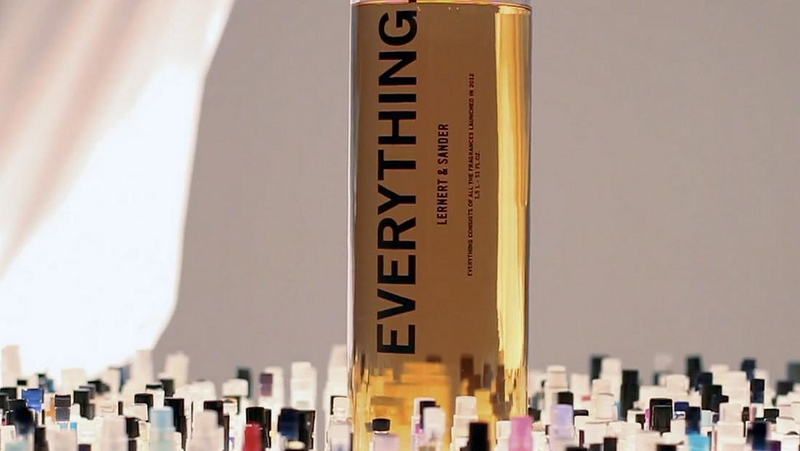 Everything is a new perfume by Lernert & Sander. The surprising thing about this new perfume is that it consists of all fragrances launched in 2012. 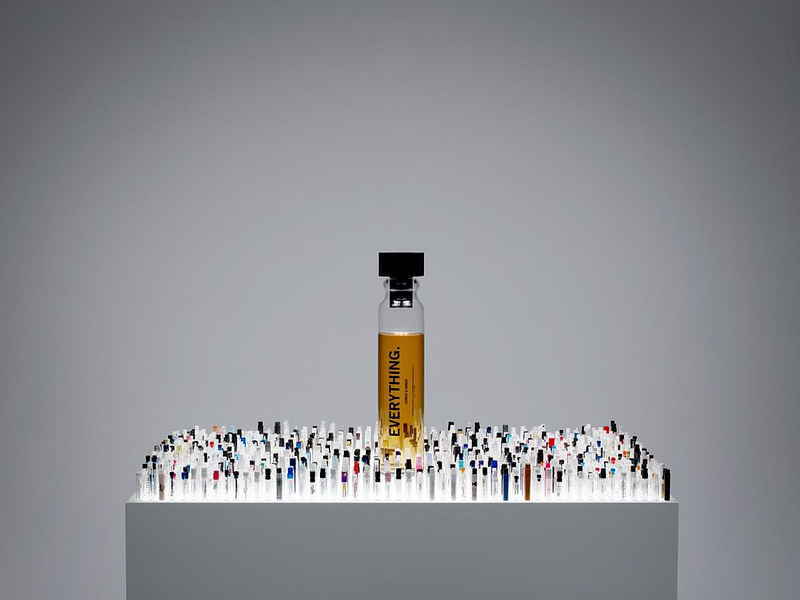 Over the last year the creative duo Lernert & Sander collected almost 1400 samples of newly launched fragrances. By mixing the content of all of these sample bottles, they created 1.5 liters of Everything perfume. In this way Everything perfume, takes samples from every single major fragrance produced in 2012. This unique perfume comes in a specially designed and hand blown glass bottle, an enlargement of a classic sample bottle. In their own words: “We think Everything perfume smells of your average fragrance department store — that wall of smell that hits you when you enter it.” And if you wonder how it could possibly a mix like this smells they answer: “A friend of ours thinks it smells of Chanel #5. We think it doesn’t, but love the idea that all the fragrances of 2012 mixed together ends up to smelling like the most iconic smell in the world. But, hey, Everything is not for everyone”- Lernert & Sander. 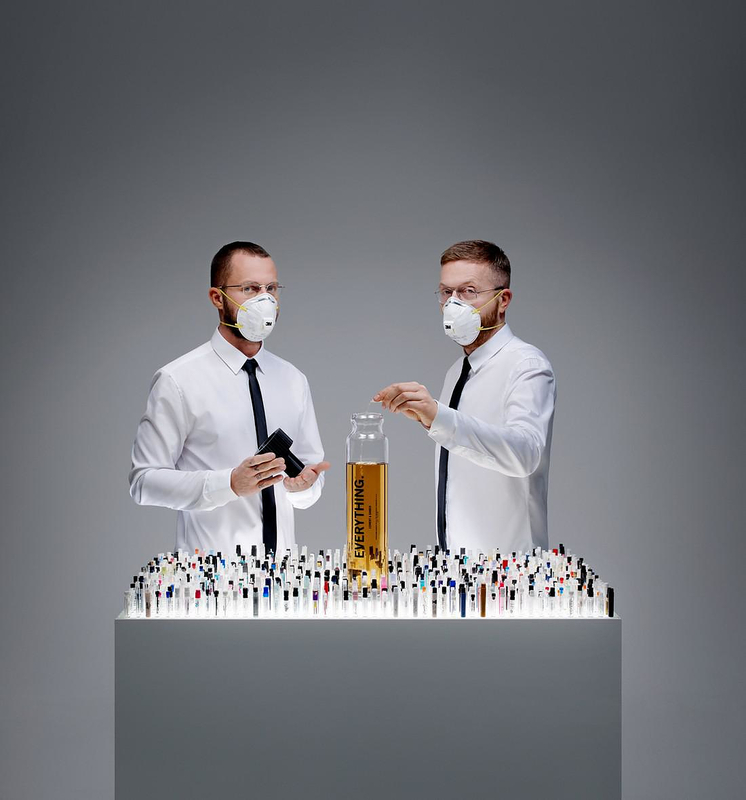 On our part we feel relieved that Lernert & Sander did not decide to make an Everything perfume out of every smell in the world, including the bad ones! Everything. from Lernert & Sander on Vimeo.